Copyright, which refers to all literary, artistic and scientific works or creations. Copyright is the exclusive property rights given to protect the creators of literary and artistic works. Industrial Property, which refers to inventions and industrial designs. Industrial property applies to commerce, industry and includes agricultural, manufactured and natural products. 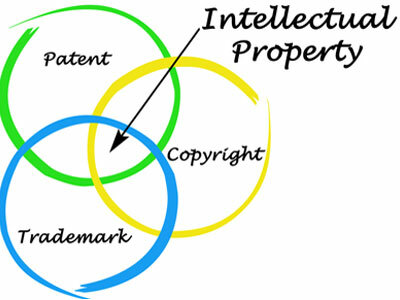 Patents – granted by the State to protect inventions. The grant of a patent recognizes the creator and allows him to commercially exploit and get compensation for his marketable inventions for a limited period of 20 years. In order to be granted a patent the inventor must adequately disclose the patented invention, it must be of practical use or application, it must be new or an improvement on existing knowledge and it must have an inventive step. Industrial Designs – registration for the protection of the ornamental or aesthetic design that determines the appearance of a useful product. Granted for the non-functional feature of a product that results from design activity example the shapes or forms of drink or perfume bottles, cars, watches. Industrial designs serve to identify the goods of competitors and facilitate its marketing and commercialization. Protection is granted for a term of five years, from the date of filing, and is renewable for two consecutive periods of five year. Marks, Collective Marks and Trade Names – a trade mark is a sign that is used to distinguish the goods or services of one enterprise from that of another to protect consumers against deception. The two main characteristics for a trademark are that it must be distinctive and it should not be deceptive. A trade mark may consist of words, designs, letters, numbers, slogans symbols or combinations. Examples of well-known trademarks are Cocoa-cola, Nike, and Toyota. Once a Trade marks is registered it can last indefinitely subject to renewal every ten years. Geographical Indication – is an indication which identifies any goods as originating in the territory of a country, or a region or locally in that territory, where a given quality, reputation or other characteristic of the goods is essentially attributable to their geographical origin. That could be due to the climate, soil. This protection is aimed to facilitate commerce by informing the customer of the origin of the products. Well known examples are Champaign which comes from the Champaign region of France and Blue Mountain coffee which comes from the Blue Mountain Region of Jamaica. Protection of Layout-Design (Topographies) of Integrated Circuits – is the protection granted to the creators of new layout of integrated circuits. Integrated circuits are used in a wide range of products, examples washing machines, television, cars and computers. Creating new layout design for an integrated circuit involves major investment thus protection is granted as an incentive to creators. Protection last for ten years. Protection of New Plant Varieties – protection is available for a new variety of plant to safeguard the interests of plant breeders as an incentive to the development of improved plant varieties for agriculture, horticulture and forestry. Breeders invest skill, labour, material resources, money and time. To be protected as a new variety it should be (1) new; (2) distinct (3) uniform in characteristics (4) characteristics must be stable. The grant of protection expires after 20 years. In-depth information on all aspects of Intellectual Property can be obtained from the World Intellectual Property Organisation (WIPO) website at www.wipo.int.